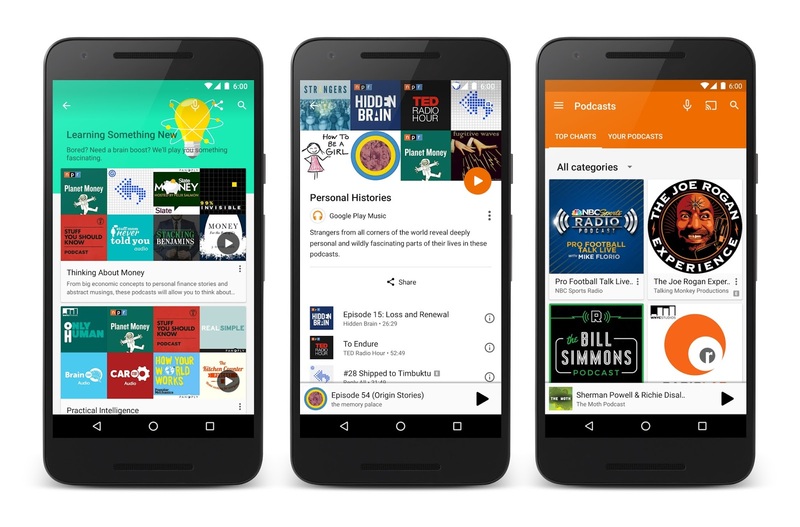 Google today announced that it is (finally) bringing podcasts to its Google Play Music service in the U.S. and Canada. With this, it follows in the footsteps of services like Spotify, which recently launched podcast support out of beta, and — of course — iTunes, which was one of the first music players to support podcasts back in 2005. Last October, Google launched a portal for podcasters in the U.S. who wanted to bring their shows to Google Play Music . At the time, though, it didn’t announce when the ability to play podcasts in the app would go live for listeners. By February, a few Google Play Music users started seeing a podcast section in their apps (likely because Google was testing this feature), so today’s launch doesn’t come as a major surprise. It’s worth noting that Google isn’t so much creating a standard podcast directory, but is instead focusing on an experience that is similar to that of its contextual playlists for music. “Similar to our contextual playlists for music, you can now listen to podcasts based on what you’re doing, how you’re feeling or what you’re interested in,” the company writes in today’s announcement. You can, of course, also search for specific shows; once you find one you like, you can subscribe to it by either downloading new shows automatically or by choosing to get notified when a new episode arrives. 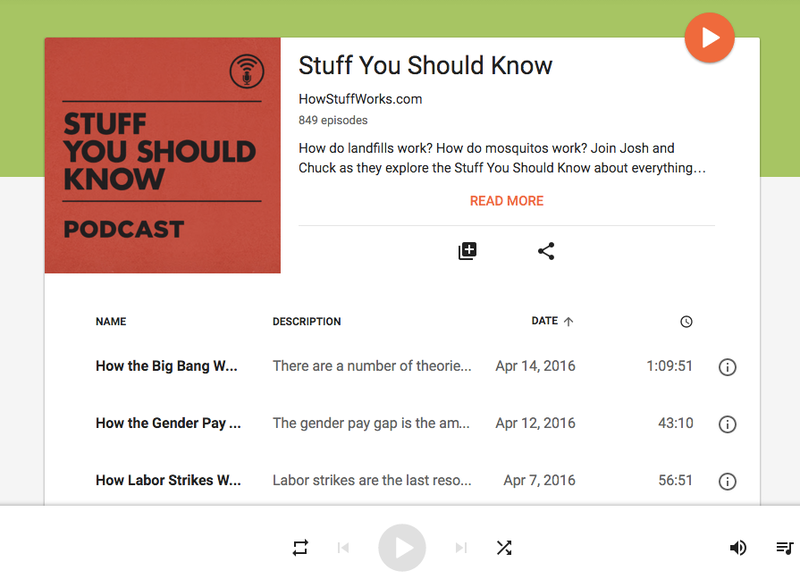 Podcasters who want to be included in Google’s program can still head to the Google Play Music podcast portal and add their shows. It took the company quite a while to bring this feature to its own apps. While Apple started bundling a podcast client with iOS quite a while ago, Google always left this market to third-party apps like Pocket Casts. As podcasts grew in popularity, though, Google clearly wanted to get a piece of this pie, too. This move will surely help the company get more people to at least try Play Music.